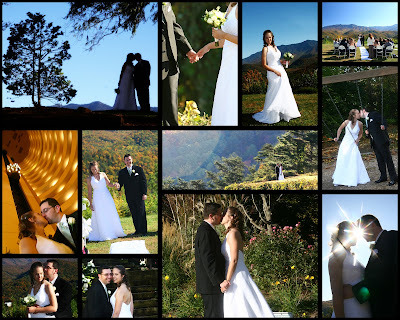 Michael and Jayme came in to town from Chicago for their fall wedding in the smokies. They had a gorgeous spot at the back of the Highlands Condo's in Gatlinburg for the ceremony and then off to take photos at the Part Vista. They happened to have their wedding just hours after the rockslide on I40 and traffic was horrific everywhere trying to get around it. The ceremony started about 45 min late which was good considering... But that didn't stop them one bit from having a wonderful day and you could see how in love they are!